The Express-estimation of a condition of the lead-acid chemical power sources. 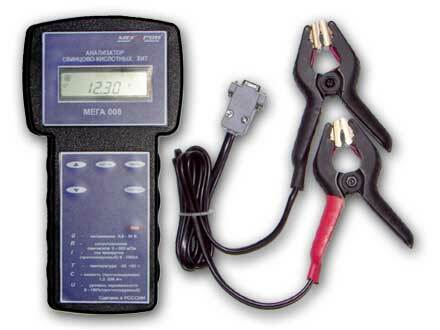 The Analyzer allows to estimate of the power characteristics of the battery during 5–15 seconds without carrying out of long control electric tests. Recording of 10–200 measurements into non-volatile memory depending on the analyzer model.